Posted February 18, 2015 by K.C. 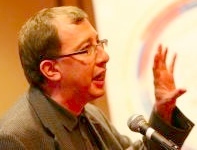 Hopson & filed under Event Rebels Blog, Travel, Uncategorized, Venues. As an old family home, I have many fond memories of Long Beach, California. I can’t think of any city with more beautiful street names – Bellflower, Cherry, Ximeno, Alamitos – it seems like every one is a gem. Having recently seen both “Gone in 60 Seconds” movies, I realized that the films were homages to this wonderful ocean-side city with one of the most bustling ports in the world. Downtown Long Beach is now a very different place, with the excitement of many revitalized city centers. It is right on the water and has great shoreline walks. At the edge is the Aquarium of the Pacific. Adjacent to this are opportunities to take a cruise around the harbor or even go whale watching. Walk across the street and you will find many fine dining establishments or go over to the Rainbow Lagoon Park. The Long Beach Convention & Entertainment center is also nearby. To top it off, there are many good mass transit options in the area, something that was unthinkable a couple of decades ago. Long Beach is a town of neighborhoods. Perhaps the most famous is Naples. If the name inspires thoughts of Italy, it is not by mistake. 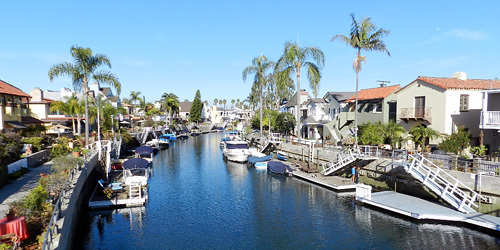 It is actually a small island, connected by 2nd street, which runs through Long Beach. Keeping with the name, the area actually has small canals and gondola tours. The neighborhood also has a lovely waterfront park. Across the bridge is Belmont Shore, which is one of the best walking communities in Southern California. There are many shops, restaurants and bars. The neighborhood has done a good job of keeping the local flavor, so corporate chains do not overwhelm the neighborhood. The local homes are beautiful, many in the old Spanish-style. And, of course, the waterfront is a couple of blocks south. 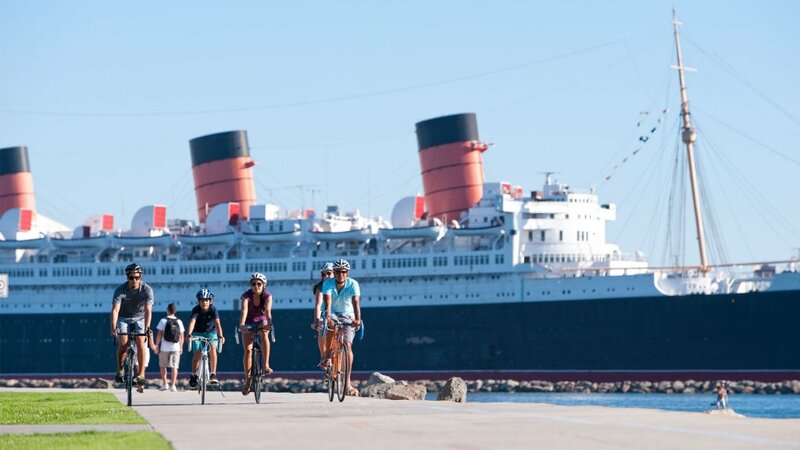 No mention of Long Beach is complete without mentioning the RMS Queen Mary. The grand old lady sits fixed in the harbor and is home to daily tours, restaurants, exhibits, and many special events. There is also the opportunity to make the experience complete by staying in the former cruise liner’s hotel. Finally, there is also nearby a submarine from the Soviet era, the Scorpion. The sub is also available for tours, giving you a feel for life on the Russian side of the Cold War.